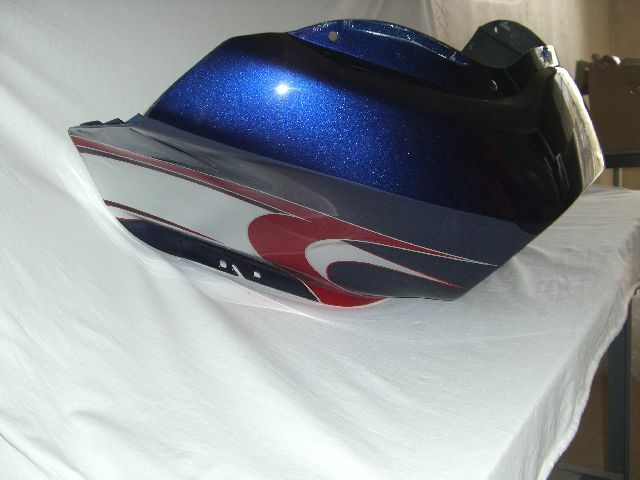 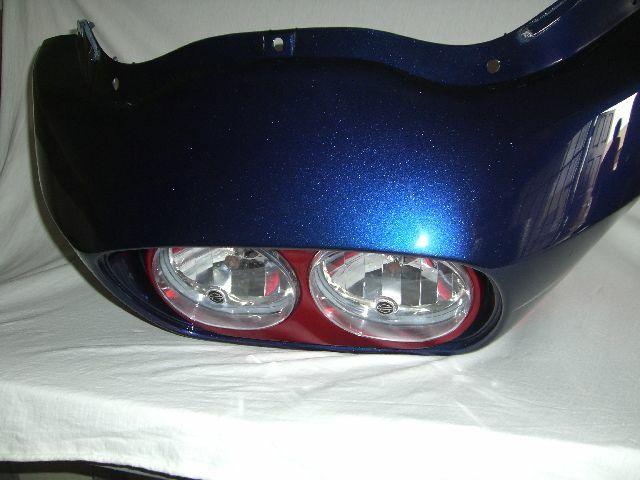 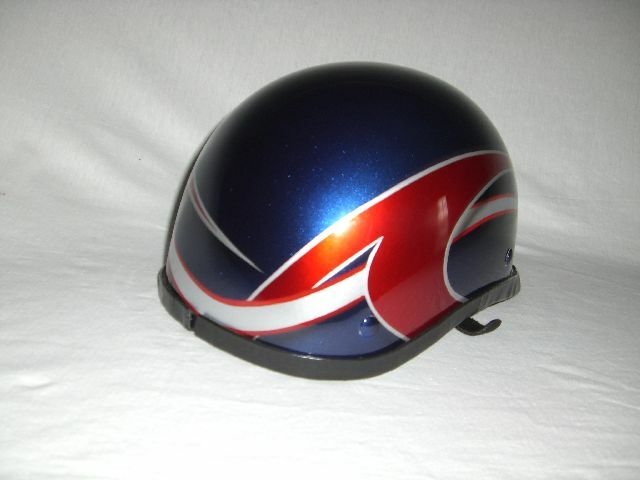 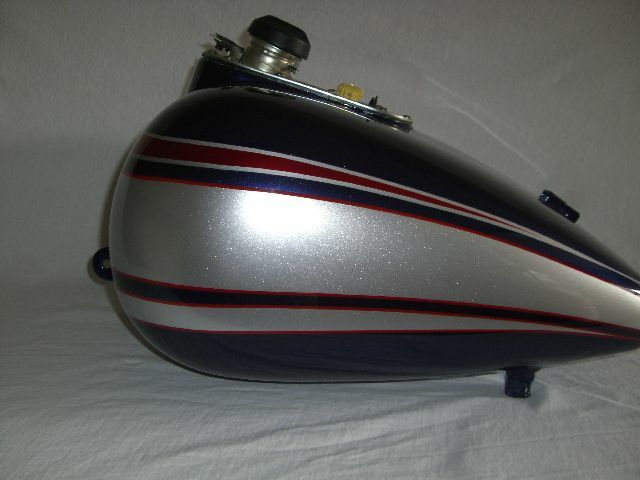 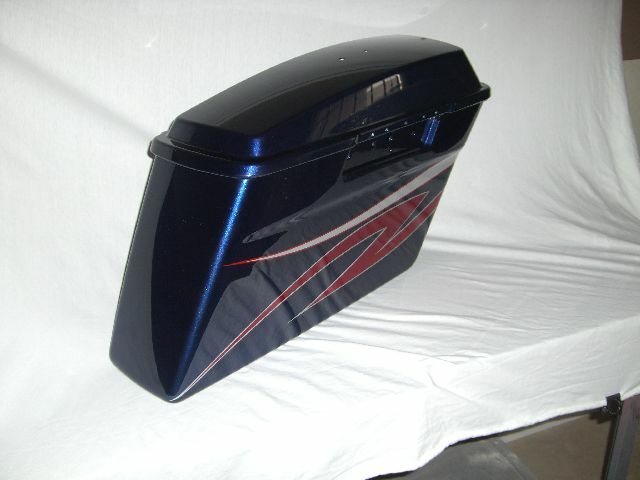 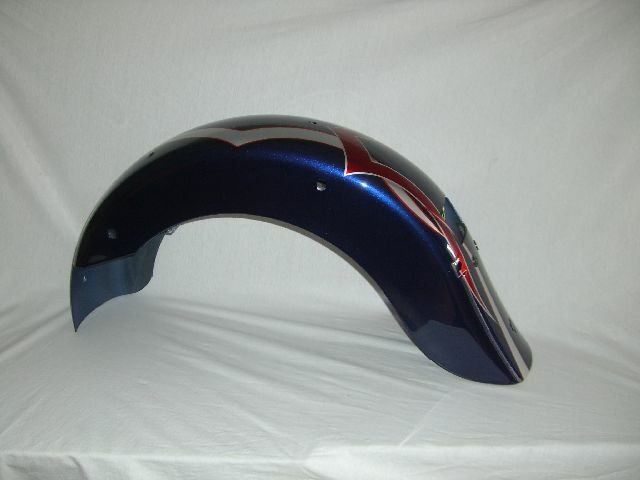 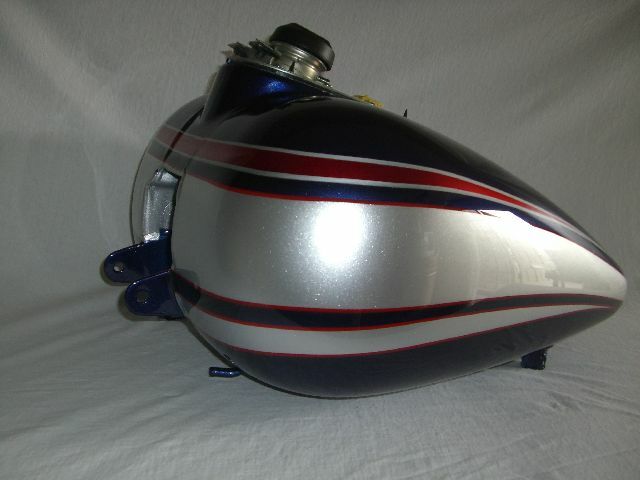 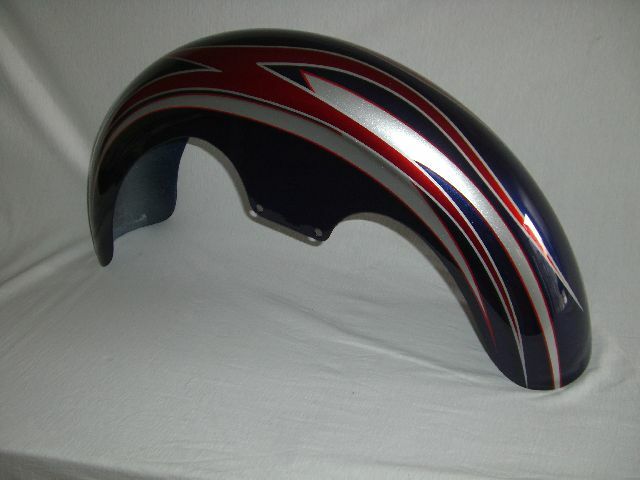 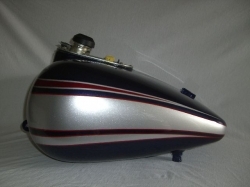 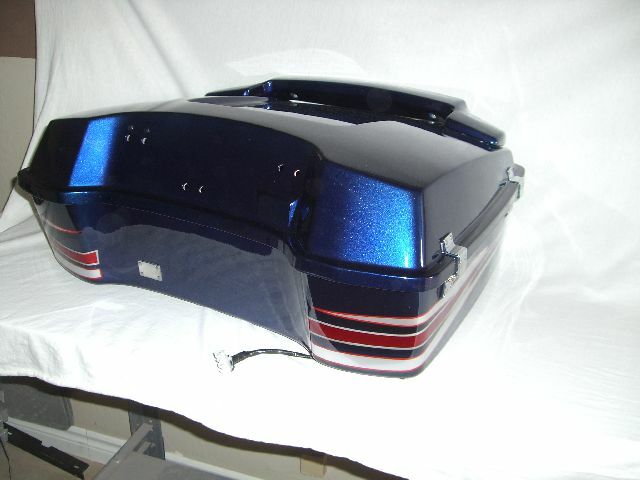 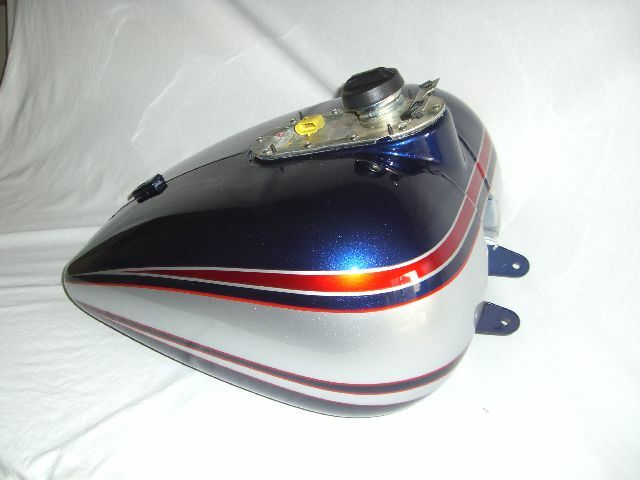 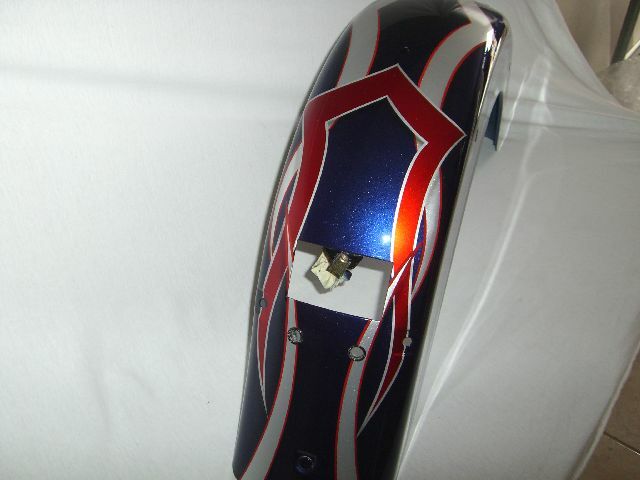 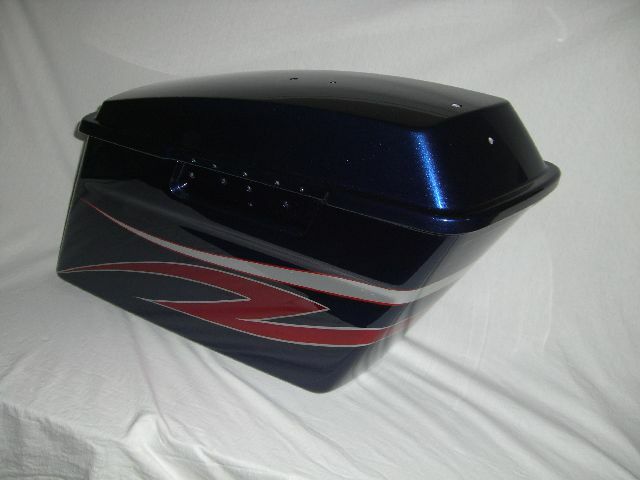 These silver and candy red graphics stand tall on this dark cobalt blue base coat. 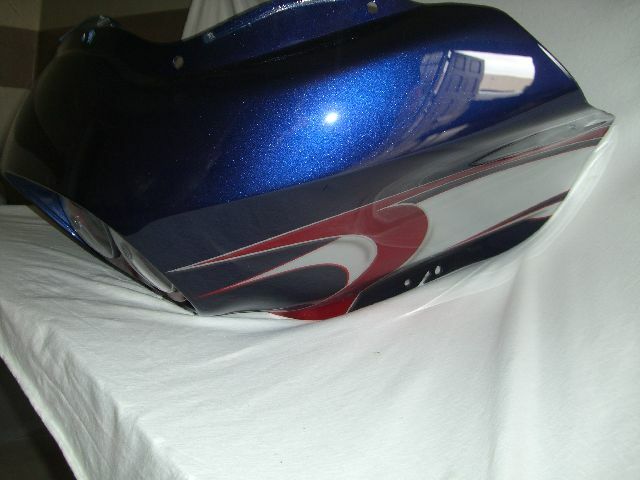 The graphics flow with the lines of the bike to compliment every line it follows. 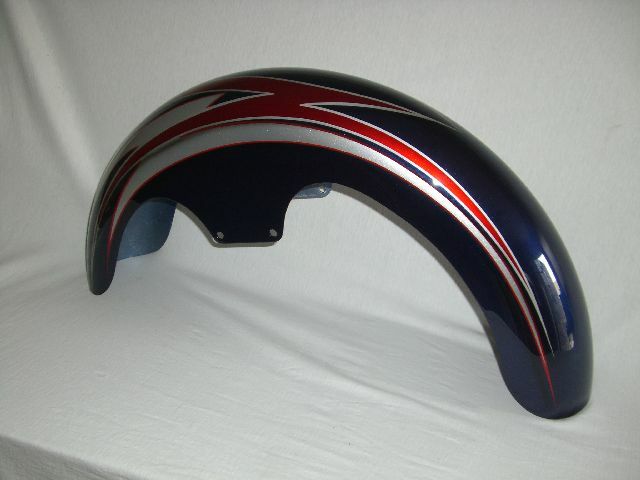 It makes for that bad boy look a lot of Harley owners are looking for. This particular graphic can be used in any color you can imagine. 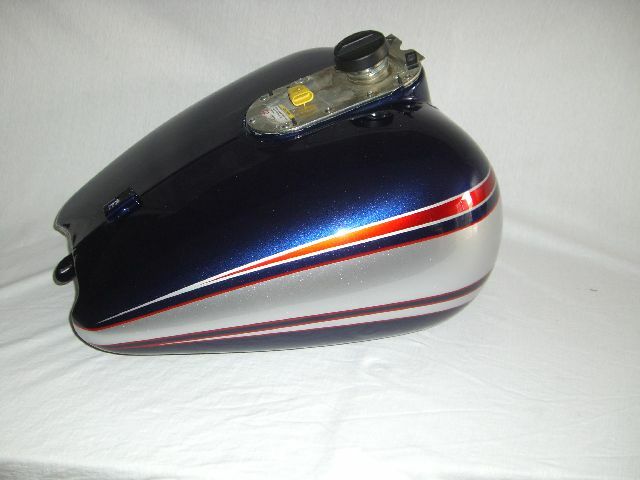 Possibly lime green base or possibly tangerine load and proud.